Trey teased Sing (Joe Raposo) in Ocelot and Happy Birthday in Heavy Things. Antelope's "Marco Esquandolas" lyric was changed to "Mike-O Esquandolas." Tweezer contained Maria and Mercury teases. Ok folks time to write a review, shall we? Been a while since I chimed in on a recent show (8/31/12?) But this little offering on Jerry's birthday makes it pretty hard to resist. For those keeping score, 2015 has seen the emergence of a pretty invigorated, inspired and practiced Trey Anastasio. All the aspirations tied to his prep for Fare Thee Well seem to have collided and delivered in spades. His tone is incredible, and his phrasing even in the narrowest of margins is impeccable. Not only is he picking great notes but he's hitting them like nobody's business (was that cleanest build in Theme of 3.0?). Give this Ocelot and Number Line a spin. Neither are the show's biggest highlights but they're a prime example of what our reborn Big Red is doing to keep complete shows more interesting than they've been maybe ever in the 3.0 era. This has been a great tour, and with the exception of a bit of a dip in Austin and an inconsistent first set here or there, there's much *must hear* material. At the top of that list is this instant-classic (imho) 26 minute Tweezer that opened the second set. I'll spare the play by play run down here but suffice it to say that it's one of those jams that you can hear coming as little as 5 minutes into the song. So much space, so much vision, dexterity, communication. It's Trey's jam but features some great group play too, especially with Mike in the first half as things lead to the mythical 13 minute mark, and with Fish complementing throughout. The landing in Waiting All Night is perfect, too. That's another thing about these summer '15 shows. The band is doing great stuff with song placement, really contrasting jams with the right breathers, or surprising with heavy hitters (late 2nd set Reba, Gin on 7/31 anyone?) in unexpected spots. And when Trey is hitting the kinds of notes he is, songs like Waiting All Night have the opportunity to please to no end. The Carini is low and nasty and great (not among some of the longer or interesting Carini's of 3.0 by any means, but raunchy and satisfying nonetheless), but it's the -> Waste that follows, oddly enough, which lands the bigger punch. The best Phish shows come together as complete offerings, delivering not just amazing jams but emotionally impactful breathers with beautiful 'in-the-box' performances of their own. This second set has that in spades. Right so back to the jams. Sand was due after a cursory run in the tour opener, and is a perfect fit for the band's new-found (re-found?) love of truly danceable grooves and the mutron. (Sand needs to be paired with ->No Men in No Man's Land ... ->Dancin' optional). Amazing late set fun and again, great contrast against the Waste that preceded. Throw on a Tweeprise to close the set, and then encore with Rock n Roll, another unexpected twist on a tour with not many covers? Cursory thoughts here on the first Lakewood shows Ive missed since 2003. Theses gigs were hinge shows without a doubt. Lots of mixed feelings and anticipatory emotions leading up to these shows. We all know how 2015 has unfolded thus far, how you've internalized the music so far is a personal and subjective thing, collectively though alot of people have been excited and worried at the same time. Many fans have been waiting for The Tour that will ring in a new era of Phish greatness. This is in my opinion a misguided and naive take on the Phish experience. What so many are waiting for is a return to the constant depths of the 97'-04' era. That epoch represents 6 years of a band with 25+ years of touring under their belts, a small sampling size, albeit their artistic peak to be sure. 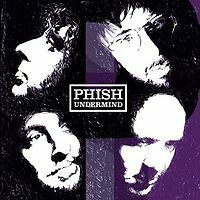 I think its safe to say that if Phish had never evolved further than their 93'-94' style that they wouldn't be around right now, meaning that Phish has survived because of their jams, not their songs. So fan frustration towards the mixed bag that is 3.0 is not unwarranted, just myopic. What Phish is now is perhaps the most modern musical group of the times. More so than at ANY point in their storied history the band is absolutely unpredictable. Far more unpredictable than any other touring act on Earth. 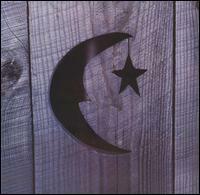 No band has encapsulated the self-referential, ironic trappings of modernism quite like Phish. What many of us interpreted as a resting on their laurels type deal back in 09'-10' has instead shown itself to be something entirely different. Those formative 3.0 tours that culminated at Dicks in 2012 were an evolutionary necessity for the band lest they fall back into easier patterns and risk a flame out. Those years sound now so much like a virgin band, like a stroke victim learning how to talk again. The fruits of those labors have produced a new vocabulary for Phish, one that is at times loquacious, academic, abstract, grating and often simple, but rarely is boring or repetitive and never is it simply nostalgic. The main problem for me, if it can be called a problem, of the 12'-14' tours was an inability or perhaps a refusal to string together two coherent sentences over the course of a show. Sets would have the feeling of four different people talking at once, sometimes hopping onto the same idea to produce beautiful music. A lot of fans have pointed to the Wingsuit show as another turning point for the band and there certainly is a case to be made for that. Phish seemed to finally break the chains of fan/artist expectation and forge ahead with a dialogue that has since been much more coherent. Although every show since that fabled Halloween gig has not produced a stand out jam they have I believe produced sets that have tremendous flow and ease. Which brings me finally to 2015. Lots of shows in 3.0 have had the "something for everyone" theme, at times thats been frustratingly true, but 2015 has produced shows which while NOT satisfying to every type of fan, have certainly been singular, unique and unified in their artistic "voice", both musically speaking but more so within the context of set flow. Im not of the opinion that the FTW shows are responsible for the impeccable flow of the sets or the awesomeness of the jams. I think that the FTW practice has definitely helped Trey with his sharpness and soloing but on the whole 2015 is just an extension of everything else Phish has been working towards since the return in 2009. These Lakewood shows are perfect IMO. Setlist flow, execution, jamming, all on point, not just for 3.0 but for any era. Take the 1st Sets for example, both with high replay value, both performed with passion and flow. An excellent Ghost is the clear highlight of the two nights but the Ocelot, Mikes Groove and NMINML all feature spot on band interplay. Phish surrounded those tunes with a slew of great song choices, all well played. 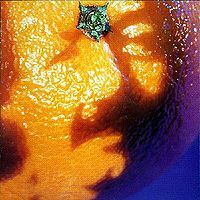 The two Big Jams, KDF & Tweezer are polar opposites musically speaking but both are very representative of the two main 3.0 style of jamming. KDF is a big burly Mike led proto-abstraction that never lacks nor wains, instead exploring math like rhythms during its long bumpy ride. The Twist that comes after another awesome Martian Monster is more my speed, I love the way it lays back and waxes melodically, lingering in stark contrast to the giant KDF Jam. 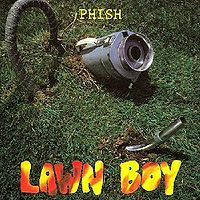 In a ballad type 2nd Set, a' la Austin, Phish would drop more slow jams, perhaps finishing things off with a Hood or a Slave, but in this rager of set they know just whos number to call in Reba > Bathtub Gin. Another great take on Reba and another fiery interesting Gin(things are happening with Gin) closes that great show. 8/01's 1st Set doesn't have the big Ghost or any bust outs but Nobody in Atlanta was complaining. Night 2's 1st Set was a chilly laid back summer evening affair and it went off without a hitch. I'll skip the hyperbole, mostly because theres gonna be plenty of that to go around. Like I said earlier though the Tweezer jam stands in blazing contrast to the KDF jam. Both have one thing in common though, its Mike that steps up and gets things started. More off kilter idiosyncratic basslines from him, building a skeletal structure for Trey or Page to lay melody on top of. Where the KDF mostly stayed Mike led and abstract its Page that tickles some lovely melodies on his piano, Trey picks up on it, Mike willingly hops on the train and the boys are off. This Tweezer is a masterpiece and should be heard a million times. I find it interesting that the rest of the jams in both sets contrast their set opening monster jams very well. The remainder of Night 1 saw an increase in melody after the KDF abstraction and Night 2 saw further exploration of the abstract with Carini & Sand after the melodic case study of Tweezer. 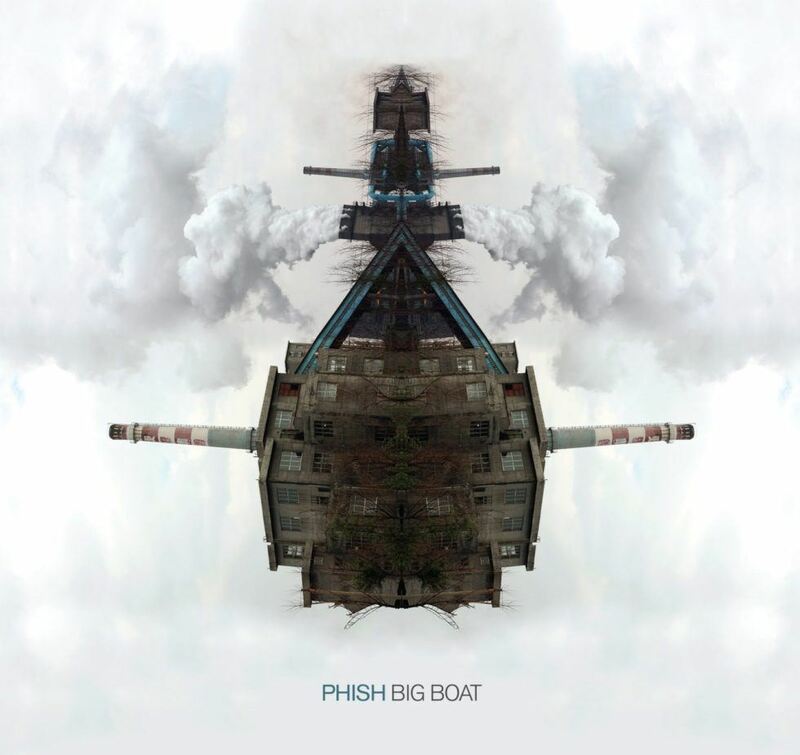 Throughout much of 3.0 Phish would bumble or not even attempt that sort of contrast but with new bridge tunes like Martian Monster, Blaze On and No Mans the band has had no problem in changing gears and making the whole thing sound "of a piece". I dont know whats in store for the Tuscaloosa faithful tonight, although I suspect a deep fiery DWD is on the horizon, but I do know that Ive enjoyed every moment of 2015 so far. Phish has arrived at this moment in their history and its plain to see how much fun their having up there. Lets all jump in the water with them, lets have a little perspective when they drop a "ballad" show or do the occasional fumble dance through a 2nd Set. Their out there putting musical acts 25 years their juniors to shame, still reinventing what a "Jam" band can do and pushing the boundaries of what a Quartet is capable of. What follows are some normative statements on 8/1/15 Atlanta having only replayed select highlights (already) waking up this morning. Everyone knew going into last night that it would be a very tough act to follow considering the onslaught of 7/31. Then again, had one seen one of the two nights in Atlanta and not the other, I think each show can stand up on its own. Having said that, where 7/31 was a five-star, phenomenal show, 8/1 misses that mark by, say, "half a star" or 4.5/5.0, however you want to qualitatively evaluate it. Phish shows, much like knowledge itself, is relative. Phish once again exceeded expectations with a jam-laden second set, including what I think can be legitimately called "the Lakewood Tweezer" of 2015, much like "the Lakewood KDF" the night before. What makes this 4.5 star and not 5 star show is the selection of songs. And true: it is not about what they play, but how they play it that matters. Nevertheless, subjective favorites always cloud normative reviews, so I will just say it: I like Ocelot, but have seen it way too many times in 3.0 - ditto #Line. The Waiting All Night, to be sure, was a good (but predictable) landing point after the monster Tweezer to open up set II. But I thought #Line was misplaced (even if some on the Interwebs allege this was a nod to Jerry's b-day...Trey did say something in the first set right before H-things that might alluded to this but I could not make it out). And on that note: Trey's Fare The Well experience/practice is all over these jams now. It is still Phish, but the Mu-Fon(?) pedal is getting a work out - its kind of like Jerry on late-70's "Dancing in the Streets"
First set is solid, through and through. Trey's pyrotechnics galore throughout Jim, a particularly strong Undermind, and a Theme > Antelope. The latter always rages, just as it did last night. Second set: BOOM, facemelt, rage...nouns and adjectives put together in cogent phrases... Liftoff was effectively achieved with Tweezer. Carini is reminescent (because I was there) of the cacophony of darkness of the 12/30/12 version, but does not quite go to the lengths that one did. Waste is Phish's de facto ballad song, a rariety, and perfectly placed. Sand could not have been a better follow up, and like the 10/31/14 Vegas show lands into Tweezer Reprise. If the roof was not blow off after that Tweezer, then Sand > Tweeprise did. This was my 39th show. 7/31 was my 38th. Raleigh, NC roughly a week or so from now, will be my 40th. From Miami '14-'15, to the Gorge '13, to NYC '12, Deer Creek to Alpine '12, and so on, the Hot'lanta shows of 2015 are "special" like so many other shows. For me this was the two best consecutive nights of Phish since the Gorge '13. Perhaps 7/31/15 will rank in the upper echelons of 3.0 performances? And even if it does not, these two shows together are excellent representations of what Phish is capable of right now. Stated differently, I would not be surprised that in the future these shows are put together in an officially released box set of sorts. For those in doubt: my wife and I got tickets to these shows on very short notice. There were zero expectations (unlike previous Phish trips where I want to hear this, that, or the other). 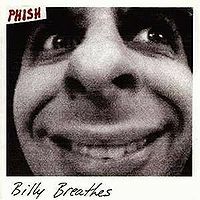 While we might still be chasing Makisupa, and particularly Billy Breathes, not having expectations, I think, made these shows all the more exhilarating. So my advice: leave your expectations at the door, read the book, and surrender to the flow. With all due respect to our wonderful Phish.net Tweezer reviewers, the idea that this Tweezer is not worth green "recommended" text is -- to my ears -- absurd. Major portions of this jam are breathtakingly beautiful, distinguished by the band's spare, tender, patient, unusually spacious playing. Trey's leads are unforgettable, even in the context of this remarkable tour. The idea that it's not worth recommending because there are a few minutes of wandering strikes me as beyond picky. Will there be an “Atlanta” box set some day, with this show and the previous one? They deserve it. Carini is awesome (yes it's short but it's so dense), and the segue to Waste is perfect. Of course the entire second set is fantastic, but that part struck me especially. Side note: perhaps it's me (I'm an occasional/compulsive phan, if that means anything) and perhaps I haven't been paying enough attention to 3.0 (or to Phish in general), or perhaps my ear is getting better, but anyway I have the impression that Fish has become a magnificent drummer, free, inventive, witty, nimble, unpredictable, you name it. Sometimes I just focus on him and it's worth the trip. Anyway he's become one of my favorite drummers. Do you ever get that feeling when you show up to a show, like, you and the other 10,000 people there are the only ones who just can't let go of the past? Like you're the only ones who just can't accept that they hey day of this band was a long time ago, and you should just get on with the business of being an adult? I've had that feeling more than I'd care to over the past several years: stagnant setlists, uninspired playing (lookin' at you, Trey), plodding jams, RIPCORDZ, etc. And then there's 2015, at least thus far. I streamed both of these Atlanta shows (thanks kush bush), and the magic was obvious even then. Every time Tweezer gets played, the expectations are so high. I prefer my Tweezers dark and funky; this one goes light and airy and gets sufficiently stretched out. I like how they play the idea out and let it end. Not every second set song has to have an inventive segue or be chopped short- there can be something in between. I'm not one to rush to anoint things as "best ever" right away, but this BDTNL...it has to be the best one ever. Trey actually sounds like he cares. There was a review on here earlier about how learning to do songs with choruses and small solos fo FTW has really helped Trey relearn how to tell a story with a solo...I couldn't agree more here. It's a beautiful several minutes. Carini was a really inspired call after that, to push the mood back to dark and angry. Things got heavy and weird before Waste, which I feel like they play halfway through the second set when things are going really well. Sand rips funk. Everyone sounds like they mean business the entire time. RNR was a really inspired choice for an encore, especially considering how few covers they've been playing since NYE 2013. I turned off the stream so excited. 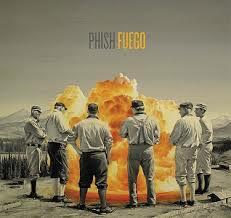 Right now is a great time to be a Phish fan. I don't feel like I'm holding onto something that's not really there anymore. The band we love so much is consistently delivering the goods and I couldn't be happier. I started the day in New Orleans and started putting the pieces together as I was packing the car that if we didn't fool around on the drive back we could maybe, possibly, feasibly, let's-not-fool-around-because-I think we can make it to Atlanta by showtime. My wife drove most of the way with me saying "It's ok - if we make it, great - if not, no big deal." That mindset changed about the time we hit the Georgia state line, at which point I took over driving and my wife and her cousin just closed their eyes and held on. Long story short, I walked into Lakewood during Jim, which is always a nice way to greet a venue. If there's anything I will say about this show, it's that really every single song is placed well. That's not to say that this is the greatest show I've ever seen or heard. But as far as the pace of the show goes, the boys really hit it tonight. I don't think I'd seen Blaze On before this show, and it was nice to see jammed out. Halfway to the moon was a good breather. Ocelot I usually can take or leave, but even that had a bit of extra juice this night. Heavy Things>Theme>Antelope to close the set was sick. I really like Theme in this spot because it starts off as a breather but by the time it's done you're pretty gassed up again, and Antelope is just great as a close down. During set break, I remember thinking - that was a pretty great first set and just being stoked for round 2. And boy did round 2 start with a bang. From the opening hit of Tweezer everybody knew we were about to get lit up and that's pretty much what happened for about 26 minutes. Solid Tweezer y'all - it goes a lot of different places. I don't know Waiting All Night that well but it was just about a perfect breathe-for-a second song after that Tweezer marathon. Now a lot of people don't go for Backwards, but I like it. Say what you want but that song builds and it peaks and it does it here in spades. And right as it does - BOOM Carini to start the 4th quarter. Place went nuts. Glowsticks. Yelling. Screaming. Dancing. Maybe even a head bang or two. The whole thing. Waste again was a great breathe and build song to bring us to SAND - for real? By this point we were ready to explode right on up to the Reprise. Good lord that's a second set. We really didn't care what they'd play for encore because we knew it was gonna be awesome - and of course we got a (at the time) super rare RnR in the encore slot. Really perfect icing on the cake. Don't sleep on this show. Both sets are a clinic on how to construct a set, and everything is really well played and jammed. Definitely worth the drive. Like the previous night at the same venue, this is a very strong setlist, in my opinion. Tweezer is the feature presentation, but I also highly recommend the Sand. It's neat that the whole second set is connected by >'s. 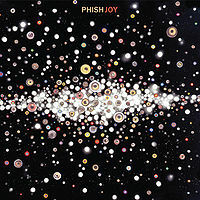 Better if it had been ->'s, but that doesn't happen all that often anymore, and for good reason, because as a musician myself I know that it's challenging to weave an entire set together without planning it ahead of time, which Phish seems determined not to do anymore, but which I think they might actually benefit from. I'm not saying to micromanage every aspect of the jams ahead of time, but just that maybe it would make sense at least once in a while to have a comfortability with the material and its sequence before coming on stage. For one thing, it would probably result in fewer ripcords, and even if it didn't, the ripcords would be more interesting because Mike, Page, and Fish would have to think on their feet to react to Trey pulling the rug out from underneath them. Not the best show of the summer, not even the best show from Atlanta. However, this was a special show. Many of us talk about "IT" as in that moment when you find the groove, when the world makes sense, when you feel that magic energy that seems to surround certain events and/or venues and/or bands. This show, while not spectacular on paper or in practice was pretty special for me. 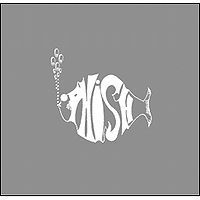 I am not a huge fan of the set list, first set was full of moments that were less that wow, which should not be read as a slam, I mean the lowest of the low phish is still some of the most amazing music ever made. Back on point - Anyway this show hit the second set Tweezer and during that song (and possibly from a build up of Antelope) I felt like I got "it" all over again. I felt like I did in 2004, like there is a force in the universe and I was able to tap into it once again. It was a beautiful thing. I hope that you can get as much out of this show as I did, because if so you'll be happy! First set was good. Second set was great. There were flashes like Utica. A few dicks shows. The tweezfest last year. But right now they are hitting a stride where they consistently put together a coherent set from start to finish. Lots of > in the setlists these days. Not just a collection of songs. This second set is no joke. Start to finish. Calm breather songs where they need em and just enough to get ready for the next big punch - and there are plenty. Nice touch with rnr encore. This show is top shelf. Listen to the first set too but set 2 does not disappoint. Most sets that open with 'long' Tweezers are going to leave many satisfied; and, for the most part, this is justifiably so. A couple of things - and let's forget the date. The band is playing great; and the purpose here is to take nothing away from them, or the excitement they are creating. Many people are pointing to song selection.... So this seems like the most interesting aspect of the gigs to analayze. Indeed, it has been cool. With SO many songs, set lists are going to (or should!) vary. So Jim and Undermind; Theme and Lope... Cool. And haven't we seen this quite a bit of late? And I really, really love Trey's playing upon BDTNL.... The tone is warm, polished, and very pleasant to hear. Yet, time and again, I fined myself wishing I was hearing something different. A tune doesn't have to be 20 minutes long to be amazing (see your Eureka Tweezers and your present Twists). This is NOT to incite discord; I am a fan of the song - Spac '13 was interesting, and, if I remember correctly, the Jersey show as well. In my opinion, the tune simply does not lend itself to 'cursory' treatment and is predictable. If Waste is what's going to 'differentiate' the set.... I guess this was a long way of saying (and I believe someone noted this before) why not blow up some of the second sets? From a _song selection_ standpoint, 7/31 is special.... I hope the next progression is for THIS to change. So much room for, say, Timber, Limb, Vultures, Lifeboy, pick your 'tour' bust out of recent vintage.... Anything. Not to be annoying, but it's 2015.... When you only get a handful of shows, it 'adds' up. What seems deliberate is the band's interest in encores.... Which is very cool - but not at the risk of undermining a set. @andrewrose To your comment about Treys ability with the ballad songs- Do you feel like he is actually performing the songs better or like me, that he's just more confident in rolling these songs out?